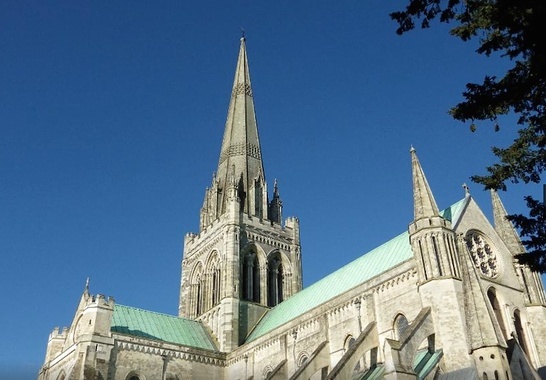 This magnificent Cathedral has stood at the centre of Chichester for over 900 years. With unique architecture from each century of its life, this Cathedral is both ancient and modern, where original medieval features sit alongside world famous contemporary artworks. The Cathedral is open every day and all year with free entry. There are free drop-in guided tours, self-guiding leaflets for those who prefer to wander at their own pace, and special trails for children. There is also a superb Cloisters Café and Shop, complete with terrace and walled garden. The history of Chichester Cathedral began in 681 after Saint Wilfrid brought Christianity to Sussex. The first cathedral in Sussex was not at Chichester but ten miles away near Selsey. Church Norton is almost certainly the site of the monastery built by St Wilfrid in 681. 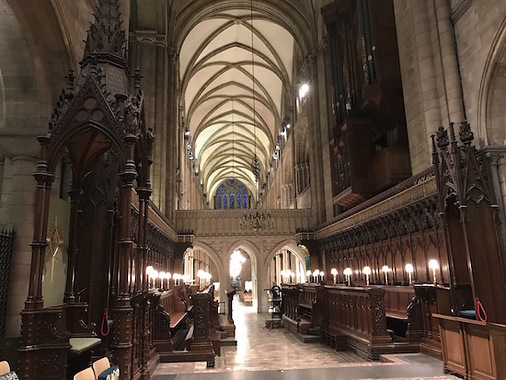 Following the Norman Conquest in 1066, cathedrals located in out-of-the way places were transferred to greater centres of population, and so in 1075, the See of Chichester was established and the bishopric was moved. In 1076 Stigand, the first Norman bishop, began to build a new cathedral on the site of the Saxon church of St Peter, using stone from Quarr on the Isle of Wight. The Cathedral was completed by Bishop Ralph Luffa, who consecrated it in 1108. The Cathedral is unique in its collection of 20th-century art - paintings, sculpture and glass. 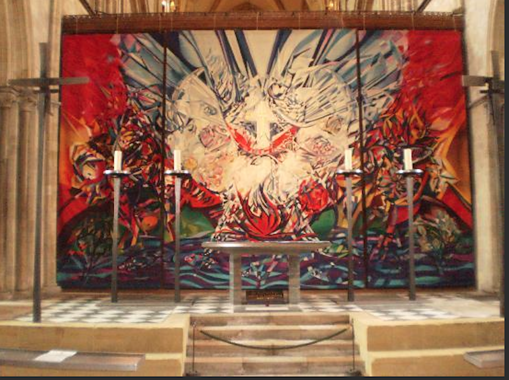 These include a window by Marc Chagall, a tapestry by John Piper and a painting by Graham Sutherland. 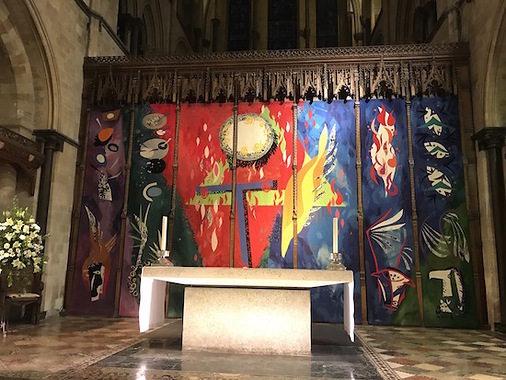 However the art in the Cathedra lalso contains some wonderful early objects including the 12th century Lazarus Reliefs and the Lambert Barnard paintings. One of the delights of the building is the successful fusion of the ancient and the modern.